Today all of the children in the school visited the Cathedral to celebrate the Mass for Ss Peter and Paul. Canon Tim led the mass and the Year 5 and 6 children read the Scriptures and the Prayers of Intersession. The children knew a great deal of the questions that Canon Tim asked them during the Homily about Ss Peter and Paul. 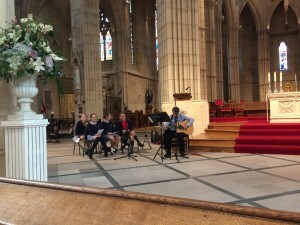 Mr Caws led the music and was accompanied by some of our singers. Many Thanks to all who made the Mass possible and to the parishioners who joined us. 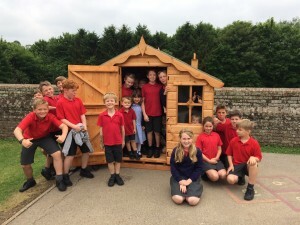 The children were very pleased to find a new Wendy House that has been put up on the school playground as our old one had reached the end of it’s time. In addition to the Wendy House, the Friends of St Philip’s have kindly given money so that a large shed can be purchased to house the Reception Class equipment and The Goblin Kitcars. St Philip’s were very blessed to receive a visit from Pastor Hugo on Thursday morning. Pastor Hugo van Driel has been involved in Yapton Free Church since 1991. The children really love hearing the exciting ways he tells Bible stories, does quizzes with them about Jesus and teaches them songs with actions that they can join along with. They also really enjoy listening to him playing guitar and singing the songs that he teaches them. Pastor Hugo is also very much involved in the Nepal Project, a missionary which goes out to Nepal to support those in need. They Key Stage Two children learnt about this project as part of their Spirituality Day. 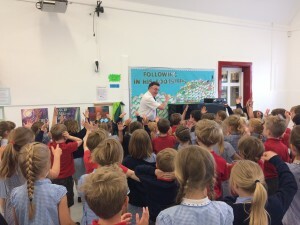 Today, Pastor Steve from Arundel Baptist Church visited our school to do an assembly with the children in Key Stage One. He told them Bible stores and spoke to them about building God’s Kingdom by being ‘living stones’. He showed them a variety of stones that he bought in and told his own stories about how each stone is different. he then taught the children the song ‘The Wise Man Built His House Upon The Rock’. 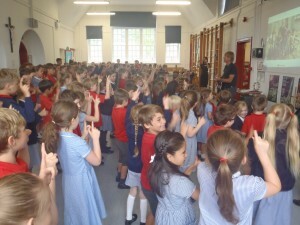 The children really enjoyed singing along and learning the actions. For over 100 years, Arundel Cathedral has celebrated the feast of Corpus Christi with a festival of flowers, which includes a magnificent carpet of flowers in the central aisle of the Cathedral and a procession of the Blessed Sacrament from the Cathedral to the courtyard of Arundel Castle, where Benediction is given. In 2017 the Carpet of Flowers will be open to public view on Wednesday 14th June from 9.30am to 8.00pm and on Thursday 15th June from 9.30am until celebration of Mass at 5.30pm and the Blessed Sacrament procession to the Castle. Many thousands of people come from all over the south of England to visit the Cathedral on these two days. Many of the classes have been down to visit the Carpet of Flowers. 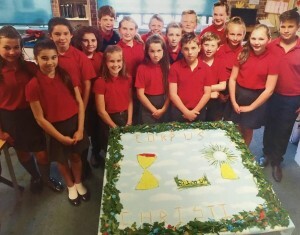 Our Year 6 pupils went to the Cathedral to help lay some of the flowers and created their own Carpet of Flowers back in their classroom. 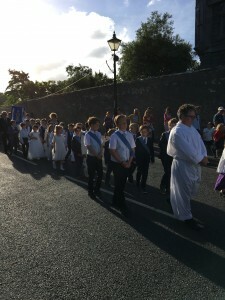 As part of the Corpus Christi Mass and procession, the children who made their First Holy Communion took part in the procession through the Castle Grounds. 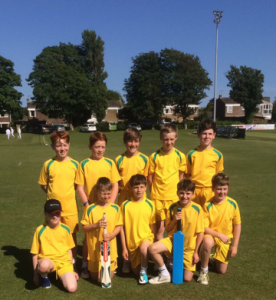 Last week, 10 of our Year Five and Six cricketers traveled to Littlehampton Cricket Club to take part in the County Kwik Cricket Tournament. Our team won all of their matches and are now going through to the County Finals at the SCCC Academy Ground on Tuesday 4th July with 18 teams will playing. Thank you to Mr Caws, Mrs Tout and the parents for making it possible for all to attend. Last term the children in Year 5 studied Space as their topic. 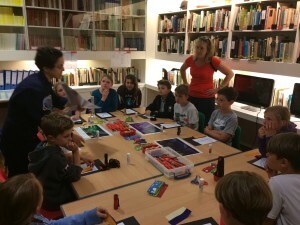 They all really enjoyed it and learned lots from Tim Peak’s expedition to the international Space Station last year. 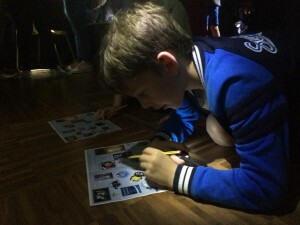 Luckily, The Novium museum in Chichester have recently opened a Tim Peak exhibition and the children in Year 5 got the opportunity to stay overnight at the museum to enjoy activities and bedtime stories. The children arrived at 7pm and were greeted by St Philip’s staff and staff from The Novium. They then did activities such as building space crafts out of cardboard boxes and creating space themed art work. They were given snacks and at 10pm went to bed. 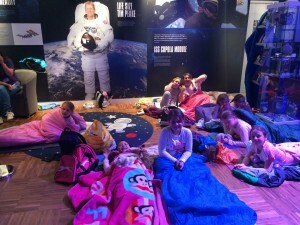 The children were very well behaved and they thoroughly enjoyed the experience. Thank you to the staff who gave their time to stay overnight with the children. 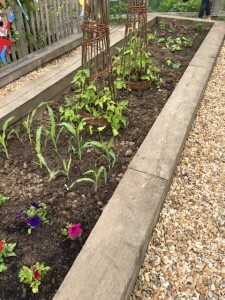 At St Philip’s we are very blessed to have such wonderful outside space and one of those wonderful spaces is our Allotment Area. Classes regularly use it for pond dipping, growing fruits and vegetables and as a quite place for reflection and artwork. 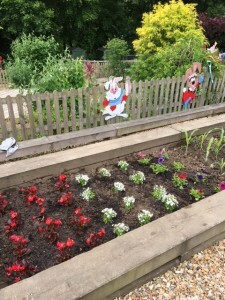 With all of the sun and rain we have had recently, some areas of the outside space had become a little unruly so last Sunday parents, teachers and staff came together at the allotments to help weed, water and pick some of the delicious fruit that has already been grown. 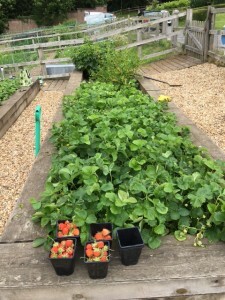 There were lots of ripe strawberries picked and were sold out of the front of school yeasterday. A huge thank you to all who gave their time to come and help. The book is written from the point of view of ‘Auggie’, a young boy who has Treacher Collins Syndrome and the struggles he faces going to school. The children read the book as a whole class and based a topic of their Literacy around it. The children gained a great deal of insight into the condition with one child saying ‘If I met someone with Treacher Collins Syndrome I would be kind to them and ask them to join in as it must be really hard’. 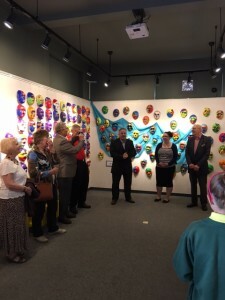 The artwork is being displayed in The Litttlehampton Museum from Saturday 10th June to Friday 21st July and is free to visit. 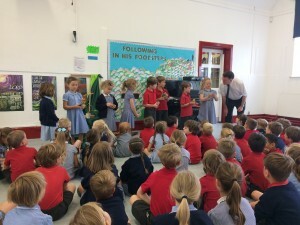 As part of our Science and Arts week, both Key Stage One and Key Stage Two took part in a fun filled assembly presented by ‘Fizz Pop’. 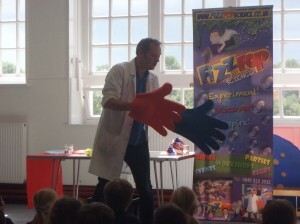 The host, Gooey Stewy, explained to the children all about friction and how it works. 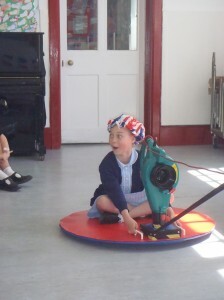 The children got the opportunity to wear massive foam hands, tennis ball antenna and ride on a hover board.